E-Z Storage and Business Center has its corporate office in Dundee Florida. They provide spacious and clean units on monthly rental to store both personal and official goods. Their units are safe, clean and come in all sizes,depending on the need the customer could rent a suitable unit. They are air conditioned and linked with chains inside two large buildings. The facility is centrally located in a commercial area in Dundee, FL near Winter Haven, Haines City, Davenport. Apart from the storage units, the company also rents small air conditioned business offices. The monthly for the office space is nominal. 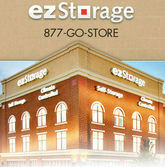 There are currently 0 consumer reviews about E-Z Storage & Business Center available. Share your review. Please take a note that you are about to post a public review about E-Z Storage & Business Center corporate office on CorporateOffice.com. This review will be public, so please do not post any of your personal information on this website. If you would like to contact the corporate offices of E-Z Storage & Business Center, please use their contact information such as their phone number, website, and address listed above to contact them. However, sometimes staff from E-Z Storage & Business Center headquarters do read the reviews on this website.